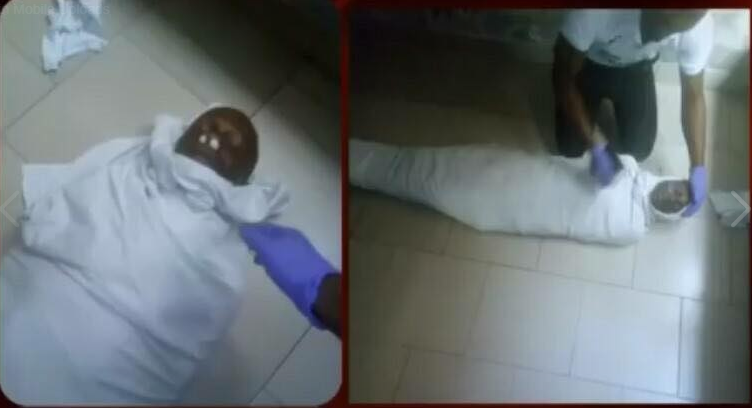 The brother of a worker at Winners Chapel owner by Bishop Oyedepo, has been revived, more that 24 hours after his death. “I have come to return all the glory to God for His faithfulness and validating his mandate upon this commission. I am a Cell minister, my Younger Brother in University of Calabar called to inform that our Younger Brother schooling in Auchi Polytechnic was confirmed dead on the 13th of May 2018 and his body deposited in the mortuary. Being worried and dismayed I contacted my Home cell provider, who shouted “He can’t be dead and I responded Amen. He gathered his household to join us and we began to pray fervently on KINGDOM ADVANCEMENT for about 2 hours that night. And there after we joined Canaanland via DOMI radio for the Covenant hour of prayer. The next day my brother travelled to Auchi, on arrival late in the night he went straight to the mortuary and saw his Younger brother’s lifeless body. The mortuary attendant consoling Him reminding him that he came too late because he was injected for embalmment over 24hours ago. He then whispered to the ear of the lifeless body ” Jesus is here, arise!”. 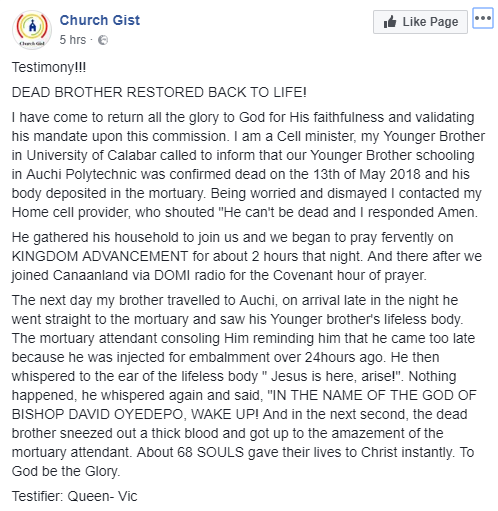 0 Response to "Winners Chapel Member Reveals How Her Dead Brother Was Resurrected"